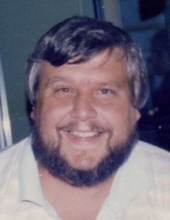 Carl August Miller, age 67, of Toledo, passed away peacefully on Tuesday, January 29, 2019 at Ebeid Hospice Residence surrounded by his loving family. He was born May 30, 1951 in Toledo, OH to Kenneth and Erma (Shoffner) Miller. Carl attended Whitmer High School, class of 1969, where he made many great memories and lifelong friends. He retired from Paragon Sight & Sound where he worked in sales for stereo equipment and home theatre systems. As a music lover with a vast vinyl collection, he often listened to music on a high-end turntable and elaborate stereo system because as he would explain to his daughters, it was the “best sound quality.” Carl had a quick wit and outgoing personality. He was always ready with a joke and was the most enjoyable person in the room. A loving father, brother and grandfather, he will be greatly missed. Carl is survived by his daughters, Sarah Miller and Anna (Michael) Davidson; sister, Gayle Miller; grandson, Connor Davidson; mother of his children, Diane Sullivan; and many close family and friends. He was preceded in death by his parents; and brothers, Lee Miller and Howard Blakesly. Carl’s daughters would like to give a special thank you to their aunt and father’s sister, Gayle Miller, for all the love, support, and care she provided to Carl over the recent years. Family and friends may join Carl’s Celebration of Life on Saturday, February 23, 2019 at Sylvania Moose Lodge #1579, 6072 N. Main St, Sylvania, OH 43560 from 12:00-4:00pm with a Remembrance Service beginning at 3:00pm. Memorial contributions may be directed to Ebeid Hospice Residence. To plant a tree in memory of Carl A. Miller, please visit our Tribute Store. "Email Address" would like to share the life celebration of Carl A. Miller. Click on the "link" to go to share a favorite memory or leave a condolence message for the family.